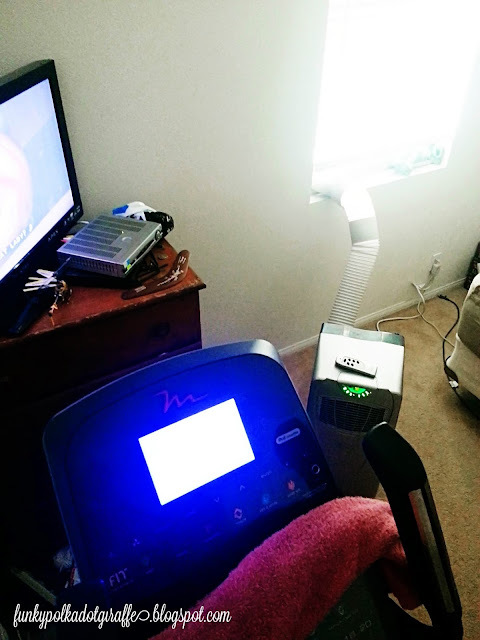 Anyone that knows me, knows I take my air conditioning very seriously. I come from a long line of family that take being cool very seriously. My dad and mom taught me what's important - a seriously cool room. my electric bill would be insane! 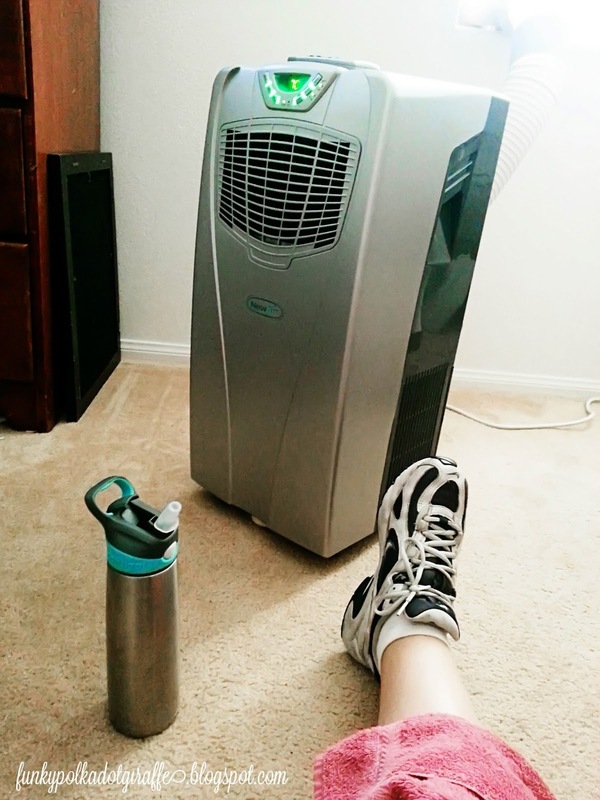 portable air conditioner - I jumped at the chance! around these parts, so it was the perfect time to test it out. 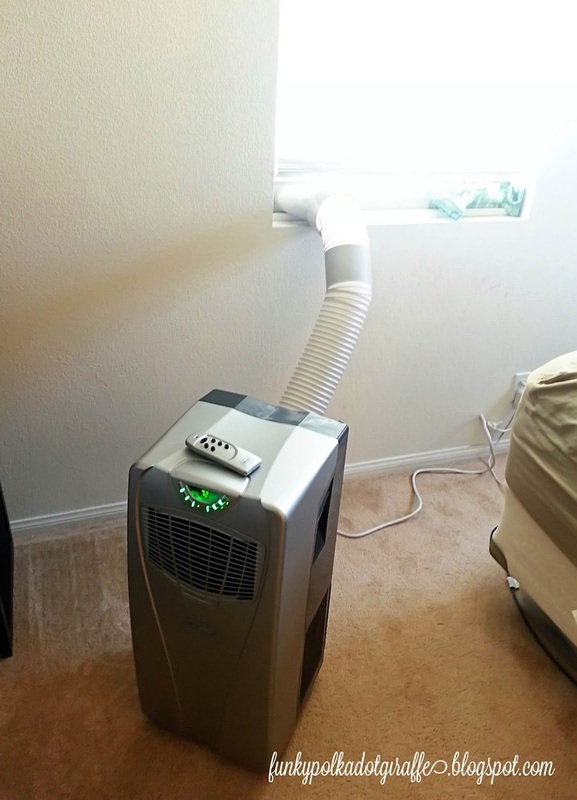 My husband and I both agreed that we wanted the portable a/c in our bedroom. 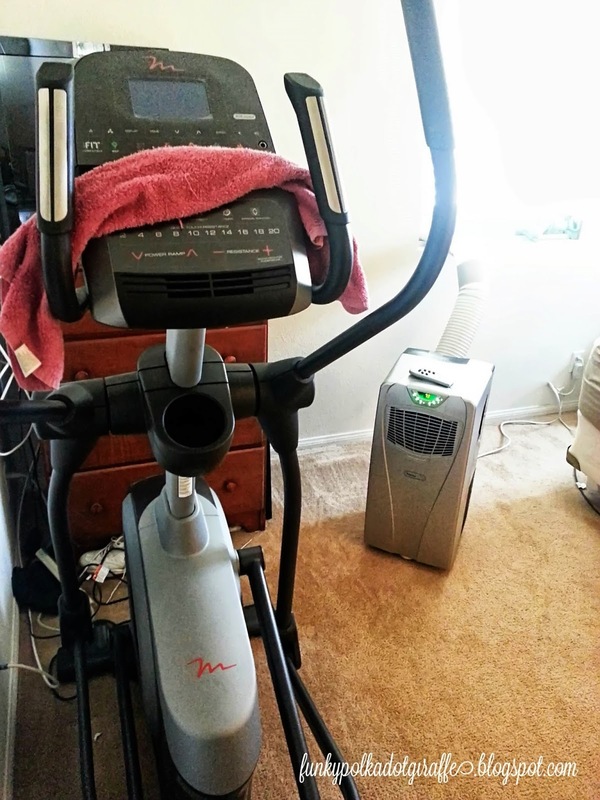 so you get my experience using the a/c while exercising! 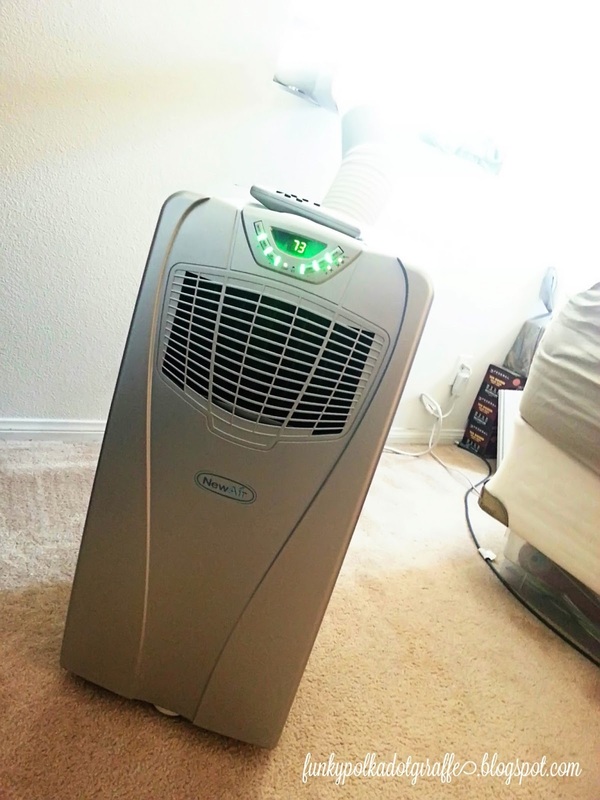 The NewAir AC-10000E portable air conditioner is the perfect size for my bedroom. 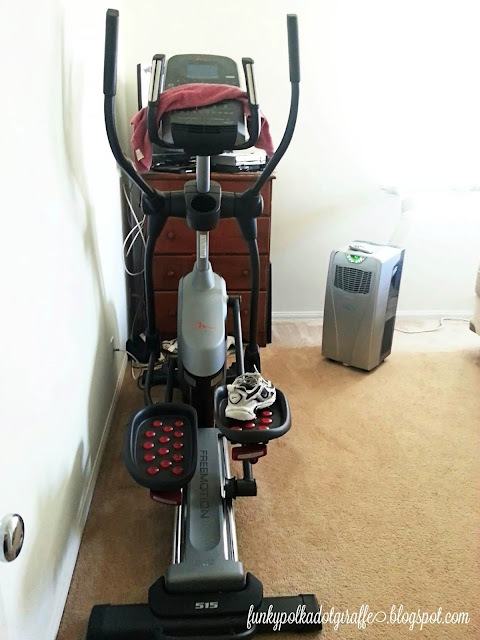 It has the ability to cool a 325 square foot space and I love the compact size. 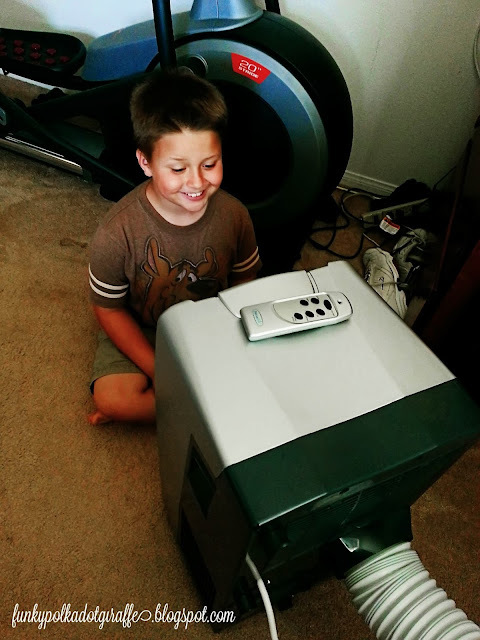 Putting the portable a/c together was really simple. to the a/c and to the hole in the window piece, and plugged it in. The room was at about 76 degrees, so I set the thermostat to 72 and let it go. and I was feeling the exuberance of a not-too-sweaty workout. It was also nice to to sit in front of the a/c during my stretching and cool down. I left it on while I showered and got ready to go out that night. I can never get cool enough while I'm blow drying and putting my make-up on. so I usually sit in front of a fan while I do all my getting ready. cool and I was able to get ready comfortably. It's a big hit at our house. The kids think it's fun to get a blast of cold air in the face. during the upcoming summer months. can keep their bedroom at a temperature that is acceptable to their low temperature standards. The NewAir AC-10000E portable air conditioner is the perfect size for my townhome. It's not too bulky or heavy and the wheels on the bottom make it easy to move around. make it even easier to move around to where it was needed. it's not silent, but I was pleasantly surprised at the level of ambient noise it makes. I'm a fan of this great NewAir product. this fun little perk of being a leader with me. Hey, I'm a Glamper, not a camper! Disclosure: I received a NewAir portable air conditioner in exchange for my honest review. I was not compensated in any other manner. The opinions expressed above are my own. Nice concept of new air portable air conditioner.